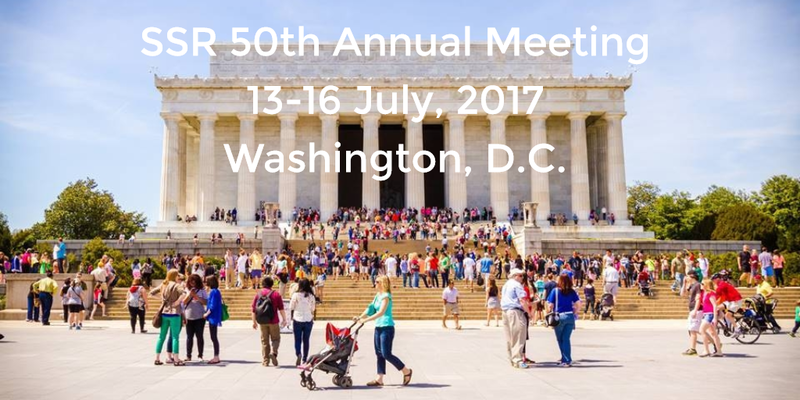 News and updates about the SSR 2017 Annual Meeting in Washington D.C., 13–16 July 2017. 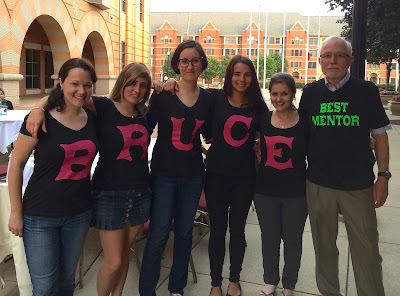 At the 50th Annual Meeting of the Society for the Study of Reproduction, it was announced that an SSR endowment fund, named the Bruce D. Murphy Trainee Fund, was established by an initial (and generous), contribution from Dr. Martin Matzuk. Dr. Matzuk has pledged to add to the fund for the next several years. This fund will support the training of young new investigators in reproductive biology, and honors Dr. Murphy's career-long dedication to training, and to the Society for the Study of Reproduction. Please contribute here (http://www.ssr.org/Donations), or contact the SSR's Business Office for additional information. First Place: Megan Sheridan, University of Missouri, Columbia, Missouri, USA. Abstract T4. Second Place: Maria Szwarc, Baylor College of Medicine, Houston, Texas, USA. Abstract T6. Third Place: Atefeh Abedini, Ottawa Hospital Research Institute, Ottawa, Ontario, Canada. Abstract T3. Left to right: Maria M. Szwarc (2nd), Megan A. Sheridan (1st ), and Atefeh Abedini (3rd). First Place: Sweta Ravisankar, Oregon Health and Science University, Beaverton, Oregon, USA. Abstract P316 (Poster Session B). Second Place: Macarena Gonzalez, Robinson Research Institute, University of Adelaide, Adelaide, South Australia, Australia. Abstract P129 (Poster Session C). Third Place: Tegan Horan, Washington State University, Pullman, Washington, USA. Abstract P200 (Poster Session B). Left to right: Sweta Ravisankar (1st), Tegan Horan (3rd), and Macarena Gonzalez (2nd). This year's Fun Run had a record-breaking 96 registrants! Male Winners (left to right): Adrien Levasseur, Bernard Roelen, and Philippe Godin. We would like to say a big thank you to the Fun Run Coordinators Alan Ealy and Adele Turzillo. Committee Meetings. Breakfast from the Exhibit Hall will be provided near session rooms for committee members’ convenience. 2017–2018 Awards Committee Meeting. Maryland. 2017–2018 Program Committee Meeting. Salon 1. 2017–2018 Public Affairs Committee Meeting. Salon 2. 2017–2018 Trainee Affairs Committee Meeting. Salon 3. © SSR 2017, all rights reserved. Simple theme. Powered by Blogger.